Bird Feeding Month was established in 1994 by American John Porter. 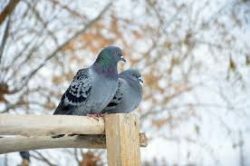 John cared for the welfare of birds and the struggles they encountered during the harsh February weather. 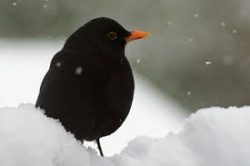 Native birds often run low on resources at the end of the winter months, because when a harsh frost has frozen the ground or snow has fallen there is little food to be found naturally. 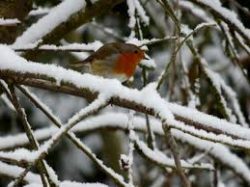 Migrating birds can also start to arrive towards the end of the month and they can get caught out by a cold and frozen terrain. 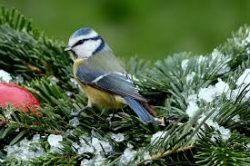 Hanging a container of sunflower seeds or a fat ball in your garden will make sure that you have feathered visitors all year. Ensure your feeders are well loaded with all the good things that they need to survive. If you have a bird bath in the garden, break the frozen water to give the wildlife the opportunity to take a drink. 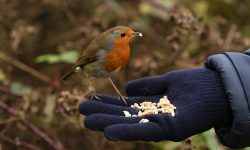 Birds love fruit and berries, treat them to an apple or pear, fruit can be grated or cut in half and then hung out so that birds can peck at the flesh. You can get creative and mix your own feed, below is a recipe for the perfect bird cake. Melt the lard or suet, mix in the other ingredients, mold into shape and let cool. Attach with string or open mesh to a tree or stake and wait for your visitors to arrive. Keep away from cats and other predators!